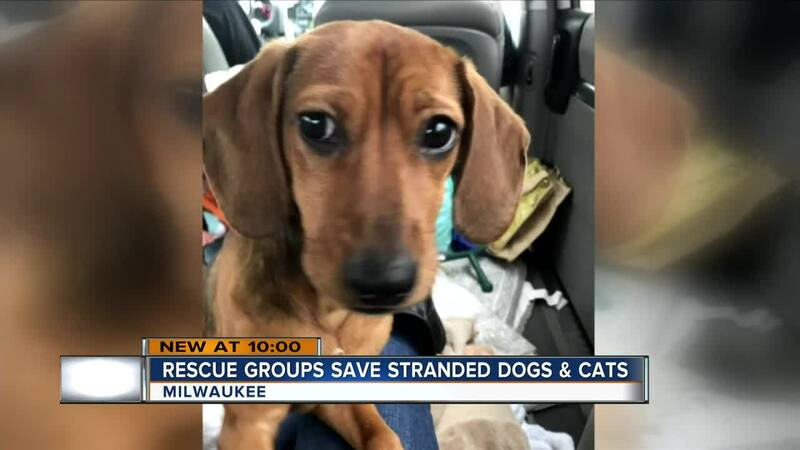 A Milwaukee pet rescue group stepped up to help a Beaver Dam rescue group after a bad crash. They are going a step further and trying to get them a new transport vehicle. This is what the transport van looked like after rolling over multiple times on an icy Indiana highway. Frosty's Fosters Animal Rescue's van rolled over multiple times Sunday morning on an icy Indiana highway with 60 dogs and cats. The van was left on its side with a busted front windshield. "I'm surprised nobody was hurt," said Missy Nowak who is the founder of Fetcha. Fetcha partners with Frosty Fosters and helps place their dogs in Milwaukee. She had been in contact with one of the volunteers when the crash happened. Everyone was okay, but the volunteers and 60 animals were now stuck in a cold van that wouldn't start. When Nowak heard she immediately went to work calling rescue groups and reaching out online asking people to help keep the animals warm and comfortable while they figured out a new way to get home. "Rescue people, dog lovers or just people that really wanted to help in the area did come out and they did help," said Nowak. They showed up and put the dogs and cats in their cars to keep them warm and happy. A sight that Dyana Gold who was in the crash said she won't forget. "As much as we wouldn't want the accident to happen, in hindsight because we're all ok and all the animals are safe, it may have been the best thing that ever happened because of the outpouring of people caring," said Gold. Frosty Fosters now needs a new transport vehicle so they can keep picking up animal across the country. They have a donation page set up to help .